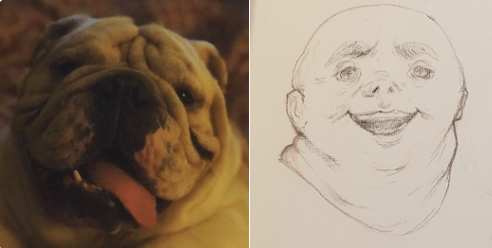 Home / Entertainment / Artist Sketches pets as human! 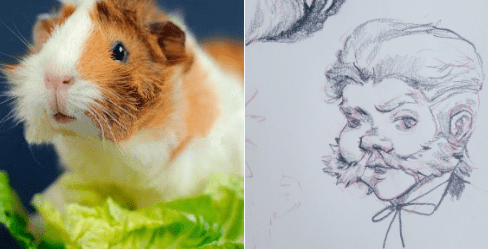 Artist Sketches pets as human! We all love our pets, I mean, we love our pets a lot! I know I adore my beautiful Peppa! Whether it’s a cat, a horse, a dog, a hamster, we love them dearly. I remember how hard I cried when my “Hamsta” died. I was devastated, I actually buried her in an empty lot nearly 3 decades ago. There is a building on top of her resting place now. Don’t even get me started on the maltese Baby, or our mean Calbee. Those are the primary reasons I didn’t want a pet, but now Peppa is a part of my life and there is no turning back! In any case, a twitter user who goes by the username @theartjesus had put up a post where they said they’d draw your pet as a human of sorts. Many, many people have since submitted pictures of their pets, myself included. Here are just a few of the ones that have been done, you can click on this link to see the entire thread. This artist is absolutely amazing, and I’m really impressed with the work!